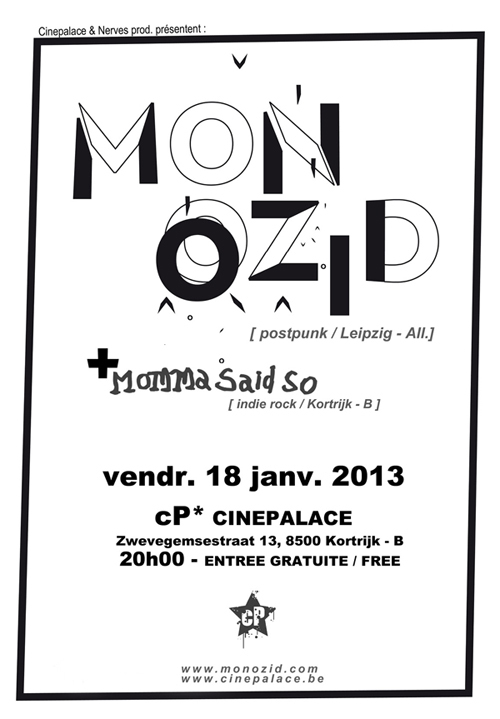 MONOZID is a postpunk band from Leipzig, Germany. They started to play in 2003. So far MONOZID released 2 eps, one album and a split 7" with NYC based band BOOTBLACKS. The sound is a mix of classic 80s postpunk, with influences from nowave and noiserock. the second album "a splinter for the pure" will be on dec 17th 2012.